We welcome the people someone who want to jog and drink. Jogsta terrace is a facility which has two faces. One is support station for runners called “Jog suta”. The other one is Food Bar called “terrace”. 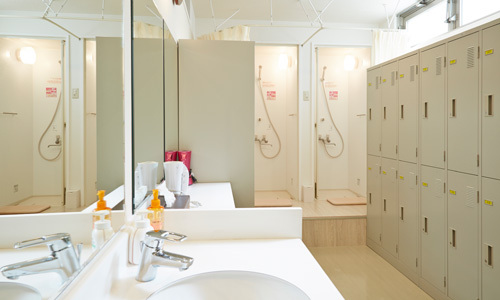 We provide shower rooms and locker rooms for runners who jog mainly around Osaka Castle. Besides, we have some training menus for each level. You can not only aiming for record update but also beginners take lessons by expertise staffs politely. In the food bar “Terrace”, please enjoy delicious sake and snacks for after run and work! We equipped clean space for runners. There are locker rooms which can keep your bags and clothes when you are running. After enjoy running you can take shower. Shoe locker is also convenient for you by one month contract. If you want to use it you need option contract. 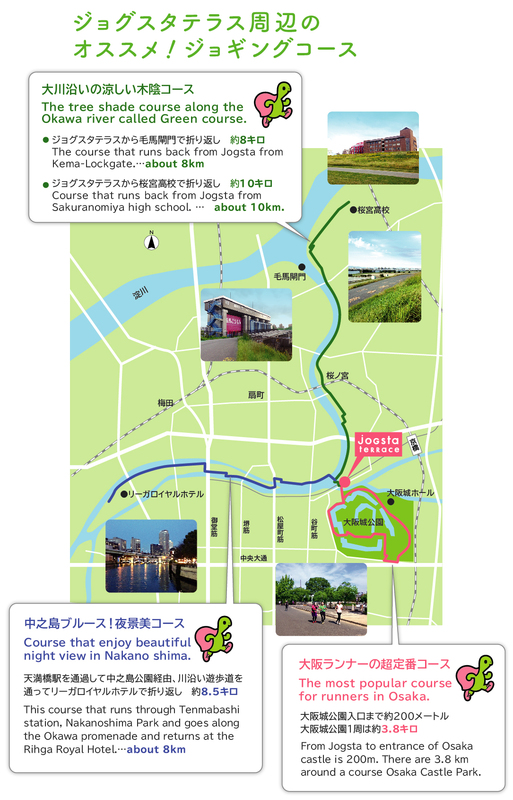 Introduce of our recommend jogging course around Jogsta Terrace.We are located about 200m from Osaka castle!